After celebrating their 40th anniversary with the cleverly titled 2013 live album Disconnected In New York City, the hard working, constantly touring band – David Hidalgo, Louie Perez, Cesar Rosas, Conrad Lozano and Steve Berlin – leaps headfirst into their fifth decade with an invitation to join them as they open fresh and exciting new Gates of Gold, their first full length studio album since 2010’s Tin Can Trust (a Grammy nominee for Best Americana Album). 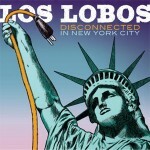 Further Hidalgo/Perez collaborations include “Too Small Heart,” a raw and raucous nod to both Los Lobos garage band roots and the wild abandon of Jimi Hendrix; the easy grooving folk-rocker “Song of the Sun,” which taps into the elements of life (water, fire, earth) and creation myths while touching on the way we choose to live in the present; the slow burning blues/rocker “Magdalena,” inspired by the Biblical Mary Magdalene and visions of flowing robes; and the folk-influenced, image rich rocker title track “Gates of Gold,” whose lyrical abstractions allow for multiple earthly and spiritual interpretations. As Hidalgo and Perez began collaborating on their songs, Rosas, as per his trademark “lone wolf” songwriting approach, took his basic tracks to his home studio to complete the handful of tunes that flesh out the set. 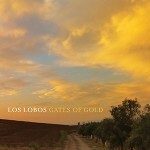 The singer, guitarist and mandolin player’s pieces include the raucous and bluesy, garage band fired jam “Mis-Treater Boogie Blues,” the swampy folk-rock blues lament “I Believed You So” and the swaying, sensual Latin Cumbia-styled “Poquito Para Aqui.” The sole cover on Gates of Gold is the other Spanish language tune, “La Tumba,” an accordion laced folk piece connected to the Mexican Norteno tradition (related to polka and corrodes) whose theme, says Perez, is very dark, “about following your lover to the tomb.” It’s very familiar to fans as a frequent staple of Los Lobos’ live performances. Berlin is Los Lobos’ saxophonist, flutist and harmonica player who met the band while still with seminal L.A. rockers The Blasters. He joined the group after performing on and co-producing (with T-Bone Burnett) their breakthrough 1983 EP ...And A Time To Dance. 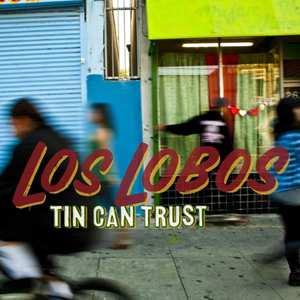 Los Lobos were already East L.A. neighborhood legends, Sunset Strip regulars and a Grammy winning band (Best Mexican American/Tejano Music Performance) by the time they recorded How Will the Wolf Survive? Although the album’s name and title song were inspired by a National Geographic article about real life wolves in the wild, the band saw obvious parallels with their struggle to gain mainstream rock success while maintaining their Mexican roots. Perez, once called their powerhouse mix of rock, Tex-Mex, country, folk, R&B, blues and traditional Spanish and Mexican music “the soundtrack of the barrio.” Three decades, two more Grammys, the global success of “La Bamba” and thousands of rollicking performances across the globe later, Los Lobos is surviving quite well - and still jamming with the same raw intensity as they had when they began in that garage in 1973. They don’t get in the studio as often as they did a few decades ago – Tin Can Trust came four years after their previous album of all originals, The Town and the City – but when they do, the results are every bit as culturally rich, musically rocking and lyrically provocative as they were back in the day.